Join O.N.E. 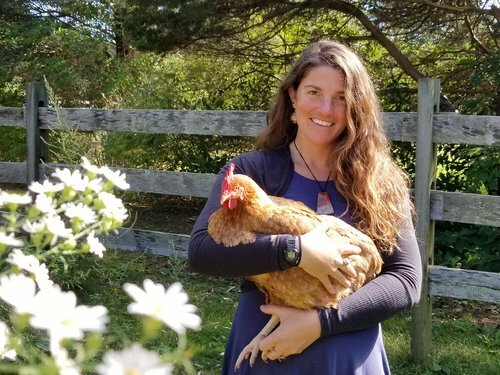 and Karyn Sanders as we focus on healing our relationship with nature and our vital need for connection to all beings. During this Teleseminar, we will look at the trauma caused by living in a way that separates us from our power and the resulting loss of connection with all our relations. Karyn will also speak about how to overcome this separation and heal the wounds we have been carrying in our own lives. An essential evolution of Sacred Earth Activism is taking the step from healing our own trauma to then serving all our communities. Karyn will speak to this as she talks about her “sacred site” and “water” work and their meaning in the world. Karyn Sanders has been working with plants for most of her life. 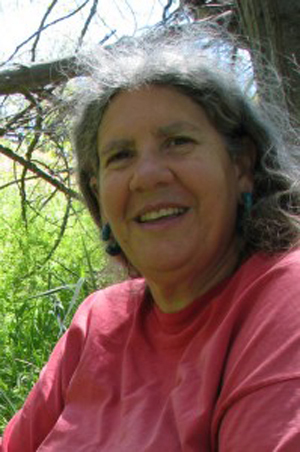 She was first trained in Native American traditional plant medicine. In her mid-teens she apprenticed with a Mexican curandera and has subsequently studied with various traditional teachers as well as Western herbalists. Karyn has been teaching and practicing herbal medicine from an energetic perspective for over 42 years. The call in number for all seminars is 1-805-309-2350 and access code: 5771624#. You can also access the the teleseminar through your computer here using the same access code (5771624). Click here to find the correct teleseminar time for your local time zone. Join O.N.E. Dr. Patrick MacManoway in learning more about how you can listen to and take care of Earth that is your backyard, your park, your garden-your nature community. There is a sentient intelligence in the spirit of place, in the spirits of the elements and of vibrant nature that we can interact with telepathically. Patrick will share land whispering stories from 25 years of practice in three continents to inspire and invite you to what might be possible where you live. Join O.N.E. and Terry Mock of Archangel Ancient Tree Archive, as he shares his story of taking action for the world’s most important old growth trees. Terry has worked with for decades with David Milarch, as they’ve been working to clone the champion trees of the world — the largest, the hardiest, the ones that have survived millennia and were most resilient to climate change — and create a living library of trees. Although scientists at the time were skeptical, twenty years later, they have successfully cloned some of the world’s oldest trees — among them giant redwoods and sequoias. They have also grown seedlings from the oldest tree in the world, the bristlecone pine Methuselah. Join O.N.E and Dr. Jude Currivan for this special teleseminar about the Cosminc River of Life. In revealing that mind and matter are one and that consciousness isn't something we have but what we and the whole word are, it invites us to re-member who we really are and take our place as micro-cosmic co-creators of the cosmic river of life. Join and O.N.E. and Phyllis Hogan as she shares her insights from being involved in several different successful "stands" to save sacred waters and lands. She has worked deeply for many years with the Navajo and Hopi, helping preserve sacred traditions and medicine ways. Join O.N.E. and Grant Wilson Directing Attorney for the Earth Law Center in speaking about rights of rivers and the processes that individuals and communities engage in to assuring basic rights for their rivers. Grant has worked on a variety of environmental campaigns in the US and worldwide, including on climate change and water law issues. He earned a J.D. with a Certificate in Environmental and Natural Resources Law from Lewis & Clark Law School in Portland, Oregon. Join O.N.E. and Dr. Rosita Arvigo, renowned author and healer, for the Macal River teleseminar as part of our Rivers of Life Series. Dr. Rosita will share about this river which was the life-blood of an ancient Mayan civilization and still important to the people there today. It was also in the skirt of this river that Rosita studied with mentor, healer and shaman Don Elijio Panti and established the Ix Chel Research Center. Join O.N.E. and Jarvis Smith, entrepreneur, singer/songwriter and Earth Ambassador, in exploring the connection between our rivers and our state of consciousness. Rivers and their flow are intimately connected with the evolution and growth of our own journey. They exemplify how life is one constant interaction with everything there is, was and will be in all directions. Without trying to be too cryptic, is it possible that the effects of the man-made constructions, the blocking and re-directing, the poisoning and the plastic abuse of the rivers have manifested into human consciousness? Ecuadorian, teacher and healer, Rocio Alarcon will join us during our Rivers of Life tele seminars to speak about the Amazon which is considered the “mightiest river in the world”. South America’s Amazon ecosystem is often described as ‘larger than life’ and indeed it comprises the most expansive rainforest in the world, home to the second-longest river on earth. Combined, they spawn an incredible amount of life, with the sheer abundance of flora and fauna making it an essential breeding and feeding ground. A passionately protected yet endangered bionetwork, the Amazon River and Rainforest provide our planet with indispensable oxygen, fresh water, and biodiversity. Join us to hear Rocio’s unique perspective of this magnificent river. In this teleseminar, Celebrant and For a Tree co-founder, Rani Findlay will speak about Tree ceremonies and especially the Tree Gratitude Ceremony shared by ForaTree.org. In ceremony, we connect with one another, to spirit and to the web of all life. The sacred act of ceremony with trees creates the opportunity for us to experience our identity and responsibility as caretakers of life on our Mother Earth. During this teleseminar, Esperide will share the wisdom of the Trees especially the ancient ones who carry the original blueprint of “Treeness”. Trees, through their specific sensitivity and intelligence are able to weave the tightest network of connections that exists on the planet making them the largest and most powerful “living computers” on Earth. For us, as humans, re-establishing a spiritual connection with these beings is a way to recuperate an important part of our collective soul. Clare Dubois is a founding member of TreeSisters, a global network of women who work/donate for the restoration of our tropical forests as an expression of planetary care. Clare is an Earth loving social entrepreneur and inspirational speaker who worked internationally for 18 years facilitating groups, coaching business leaders and creating behaviour change processes within the personal growth sector. In this teleseminar Pam will share the teachings and wisdom of White Pine, the tree of peace. White Pine has been a main ally of Pam’s for two decades and is an elder among trees who helps to initiate humans into what it means to be truly human. Pam will share with you stories from the White Pine Initiation to be held in September. Join O.N.E. and Peruvian healer, Arkan Lushwala in opening our new teleseminar series, Trees of Life. In many traditions, especially tribal cultures, the Tree of Life is the embodiment of the prayer and promise of continuity. It holds the sacred seeds of the future and offers divine instruction for living our lives . Sage Mountain Retreat Center & Native Plant Preserve is one of New England’s foremost learning centers for herbs and earth awareness. Join founder, Rosemary Gladstar for an hour of sharing stories about how to create a retreat center that is also a sanctuary for plants, animals and people. What are the key ingredients that go into making a place such as Sage Mountain a true sanctuary – a place of safety and sacredness? Herbal gardens offer sanctuary for pollinators, people and elemental beings. Flowering plants and trees, hedgerows and pathways, arbors and benches, altars and bells add magical dimensions into a healing garden. A diversity of plants, blooming throughout the gardening season encourages a diversity of pollinators and birds. Hedgerows and bells are friends to Elemental beings. The biodynamic approach we use at Avena Botanical gardens helps create a sacred environment for all beings that enter the gardens. Join Mark and Emily Mattison as they share their experience in creating and caring for Wild Water, an urban sanctuary garden. Nestled amongst a multitude of Brownsfield Industrial sites along the Saginaw River in Bay City Michigan is the Wild Water Sanctuary Garden. Designing a beautiful kitchen garden is one of the best ways to incorporate the sacred into your garden and ultimately your kitchen. In this teleseminar, we talk about the power of creating sanctuaries through gardens that allow the healing power of plants to be received. Join Kathleen Maier for an in-depth discussion of United Plant Savers’ Goldenseal Botanical Sanctuary which includes a living seed repository. The United Plant Savers 360-acre Botanical Sanctuary sits in the Appalachian Foothills of Southeastern Ohio. Thanks to optimal soil conditions and unique topography, the Sanctuary is a refuge for wild medicinal plants which occur in abundance throughout the property. Jennifer will be speaking about how our gardens, however elaborate or simple, offer sanctuary to pollinators. There are many practical reasons to keep bees, like honey and pollination, but she encounters more and more people keeping Bees for the Bees--their presence and magic. Carol Pease is a retired and widely peer published oceanographer and meteorologist who lives in the "beautiful Pacific Northwest" in Seattle. Sea Turtles are one of the most ancient, widespread, fascinating, mysterious species on Grandmother Earth. They occupy all our planet’s oceans except the polar regions, and are both fundamental to and indicators for the health of marine ecosystems. All 7 extant sea turtle species are currently endangered or threatened. Turtles embody central roles of honor in the cosmological and creation stories of many world cultures, and sea turtles in particular act as gatekeepers for liminal portals – the “thin” places between sea and land, unseen dimensions, and levels of consciousness. In this teleseminar, Rachel recounts some of her experiences communicating with the whales, shares her observations and concerns about the booming new “whale-watching” tourism, and offers guidance on how to reach out to these beings without disturbing their lives. She leads us in a meditation practice to make contact with the whales, receive their wisdom, and share our love. Larch Hanson is a seaweed harvester on the North Eastern coast, running a family business out of his home in Steuben, Maine. Along with seaweed harvesting, Larch is a structural body worker, a carpenter, a cook, a gardener, just to name a few of his many talents.